Don’t have much space to spare in your backyard? 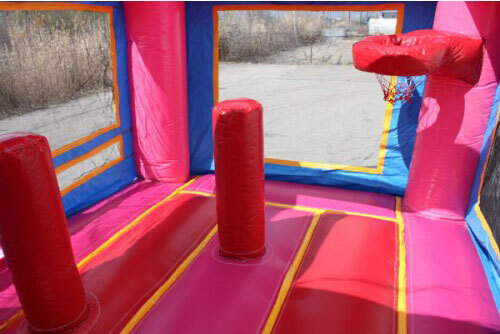 Or maybe you just want to have a bounce house with slide combo but want other areas of your yard for party guests and other activities. 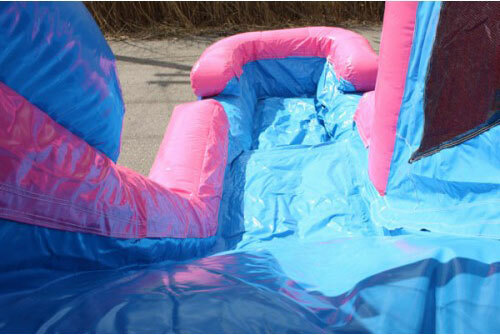 Our Compact Pretty Pink Bounce House Slide Combo has 5 activities in one compact unit. 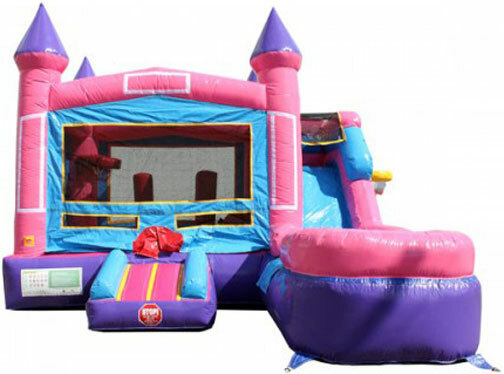 A large bouncing area, a pop-up obstacle course, 2 basketball hoops and an attached 7′ foot inflatable slide.This Compact Pretty Pink Bounce House Slide Combo is a party favorite for every Princess.We can provide FREE art panels that can be added to the front of this bouncy castle to match your party theme. 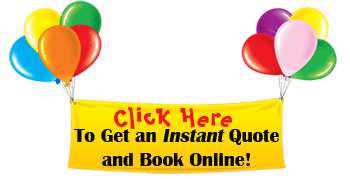 Setup space Required: 22′ x 22′ square. 15 Feet Tall. Can hold a total of 700 lbs of riders at a time. Due to the size and weight of our Compact Pretty Pink Bounce House Slide Combo, we need know if there are stairs, steep hills, rocky terrain, narrow entrances, or any situations that require extra labor on our behalf.